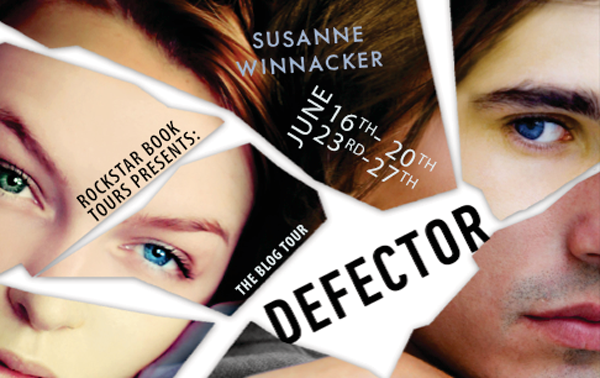 Susanne Winnacker: DEFECTOR pub date! is there going to be another book after defector? please say yes. I NEED to know what happens! there are so many cliff hangers. like is devon really back in the FEA or did he get sent to the prison or is he dead? is holly really happy where she is now? what happens to Alec? :(( so many questions and i need answers. please say your going to keep writing. Please say there's a third book there's so many cliff hangers and will she ever find Devon and will the whole family be reunited and will Alec still look for Tessa????!!! Is there another book coming??? I just love these books and can't wait for more!